Phillip L. Bouchard, 96, of Chula Vista Calif., widower of Gloria (Card) Bouchard and Lydia (Kunert) Bouchard, passed away on Saturday, Sept. 8, 2018, at his daughter’s home in Terryville, surrounded by his family. Phil was born in Madison, Maine., on Feb. 12, 1922. He was one of 12 children of the late Emile and Mary (Cyr) Bouchard. 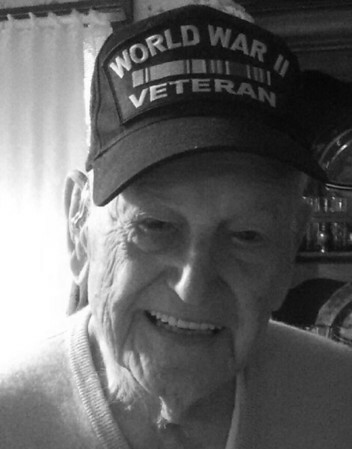 He was raised and lived in Maine and served in the United States Army during WWII. He moved to Bristol in 1955, with his wife, Gloria and two daughters. He was a carpenter by trade and worked for Bristol Brass. He moved to Chula Vista, Calif., in 1973, with his wife, Lydia, and worked in civil service at Miramar Air Force Base until retiring in 1983. Phil was a vibrant man that loved to have a good time. He was full of love and laughter and was always there if you needed a helping hand. He loved to go dancing and continued to dance right up to the young age of 96. Phil is survived by a daughter and son-in-law, Tanya and Ken Sakowski of Terryville; four step-children and their spouses, Joyce Beecroft of Westerville, Ohio., David Cole of Sedona, Ariz., Karen Reich of Avon, and Dennis Cole of Wolcott. He had 14 grandchildren, numerous great-grandchildren, and many nieces and nephews. He was predeceased by his daughter, Bonnie Allen, in 2012, and his 10 brothers and one sister. Funeral services will be held at Funk Funeral Home, 35 Bellevue Ave., Bristol on Friday, Sept. 14, 2018, at 11 a.m. Burial, with military honors, will follow in West Cemetery, Bristol. Relatives and friends may call at Funk Funeral Home on Friday between 10 and 11 a.m. In lieu of flowers, memorial donations may be made to the Alzheimer’s Association, 200 Executive Blvd., Southington, CT 06489, or to the American Cancer Society, 825 Brook St., I-91 Tech Center, Rocky Hill, CT 06067-3045. The family extends a thanks to the staff of Bristol Hospital Home Care and Hospice for their kind care of Phil. Visit Phil’s memorial web-site at . Posted in The Bristol Press, on Monday, 10 September 2018 20:52. Updated: Monday, 10 September 2018 20:54.